En nydelig on-the-go mist spray for deg som ønsker å gi huden din fuktighet igjennom dagen. 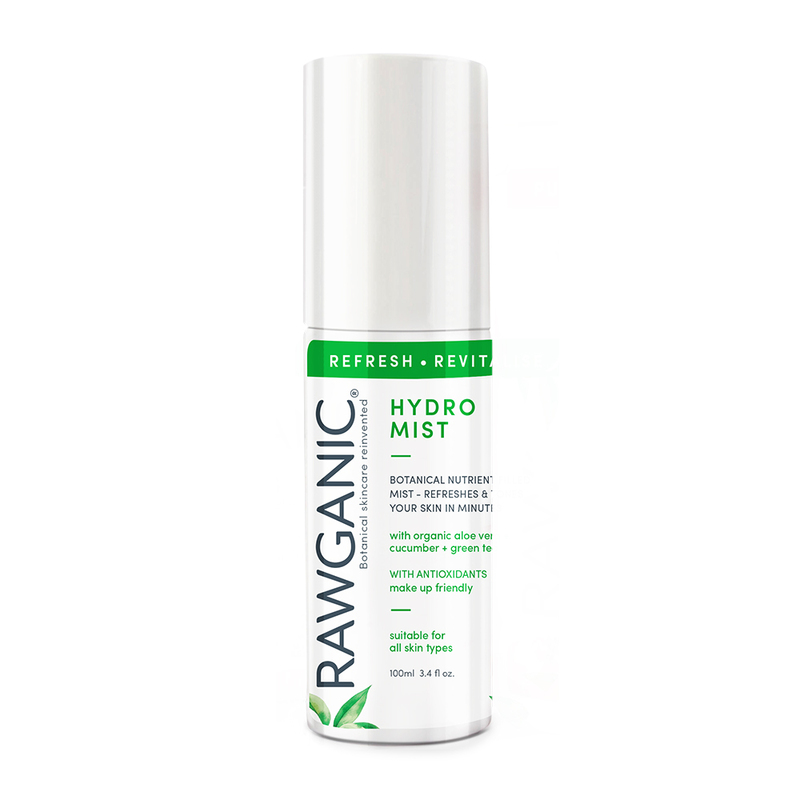 An invigorating on-the-go spray mist that brings your skin back to life. Delivering freshness throughout the day. When we created Rawganic we wanted it to have a bigger purpose. Rawganic was brought to life with a passion for living passionately, harnessing nature and loving your skin. Rawganic is convenient and easy to use, so you can take it, anywhere you go – whether it is a festival, business trip, night at a hotel, gym session, day out with kids or lazy evening after a long day. We want Rawganic to be your quick and easy skin pampering beauty routine. Rawganic is a pure brand, inspired by nature and green chemistry. Formulated using natural and organic bioactive ingredients and innovative biodegradable and sustainable materials. Rawganic says NO to harsh chemicals, synthetic fragrances, parabens, artificial colours, sulphates, petrochemicals. Rawganic is cruelty free and 100% Vegan.